Please excuse our website for any out-of-date content or non-working links, we are continuing to update our menus and content! Thank you for your patience. 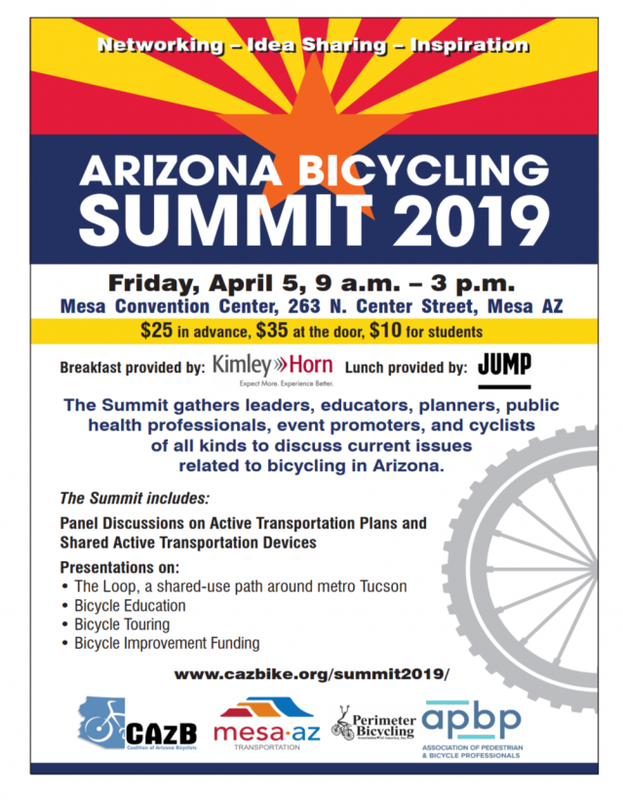 Since 1964, the Arizona Bicycle Club (ABC), has served to improve the quality of life in Arizona by supporting bicycling through advocacy, education, organized rides, tours, and events. ABC emphasizes the positive effects of bicycling in providing transportation, recreation, sportsmanship, and good health for everyone. 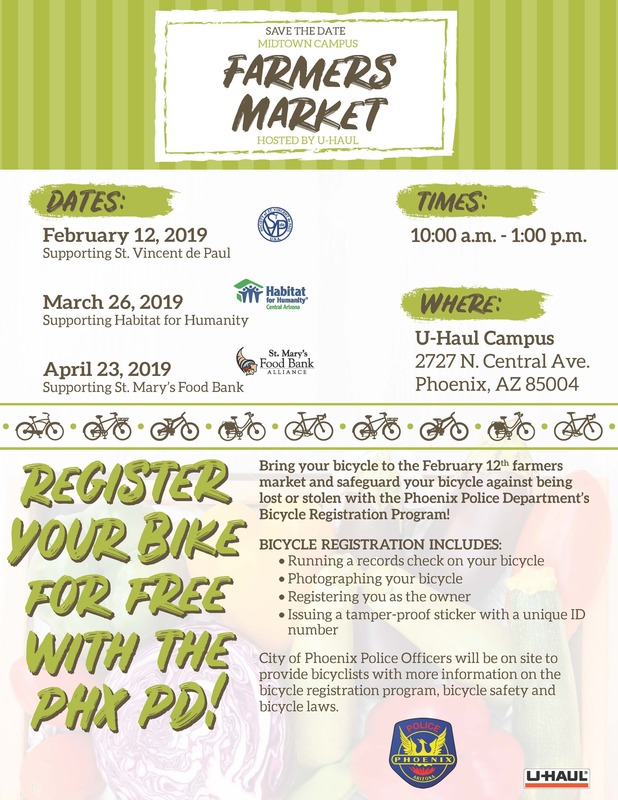 The Arizona Bicycle Club advocates the use of bicycles as a non-polluting means of travel, protecting the rights of Arizona cyclists to safely share our road and paths with other users, and to increase the bicycle-friendliness of our state's highways and byways. 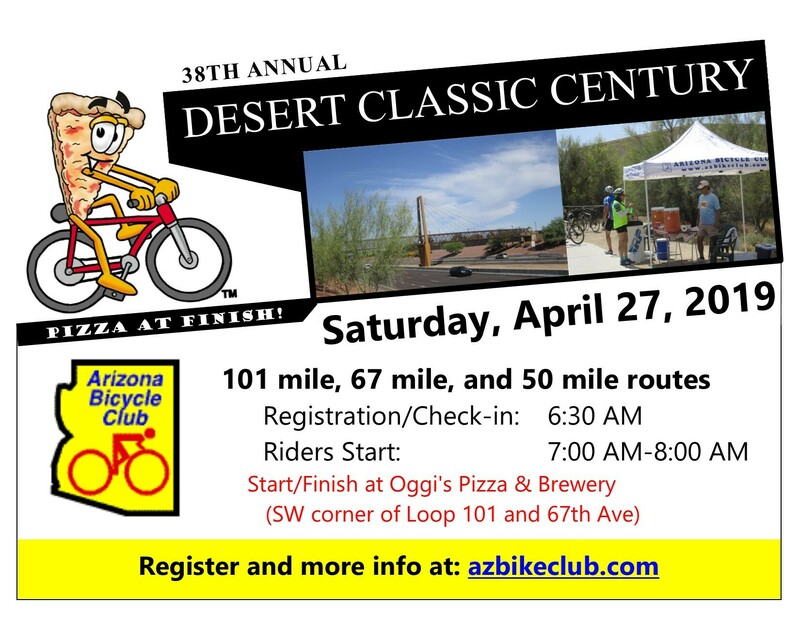 The Arizona Bicycle Club is affiliated with the League of American Bicyclists.